The legislation, HB 1053, An Act Expanding Medicaid and Husky B Coverage for Children creates a state funded medical assistance program for illegal immigrants under the age of 19 with household income below 196% FPL with no asset limit. The bill also expands HUSKY B to illegal immigrant children with income exceeding 196% FPL. 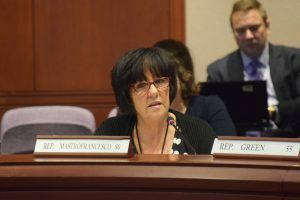 The state Department of Social Services (DSS) testified against the bill due to the cost estimate of $64 million for the state, which DSS says they have no state money to fund the expansion of the program. The bill was approved by the Human Services Committee despite unanimous Republican opposition. The proposal and now moves to the State Senate for debate.